The new series of Doctor Who will air on a Sunday for the first time in the show’s history, the BBC has said. The popular BBC One sci fi show, which has traditionally aired on a Saturday night, will return on Sunday October 7, when fans will also meet the first female Timelord – Jodie Whittaker. 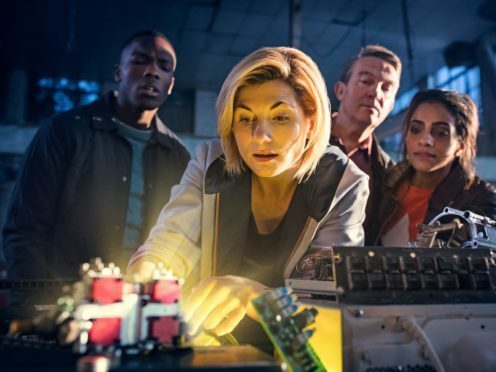 It was announced last year that the 36-year-old Broadchurch star would be the first woman to play the Doctor and she will be joined by companions Mandip Gill, Tosin Cole and Bradley Walsh. The show’s new head writer and executive producer, Chris Chibnall, said: “New Doctor, new home! Jodie Whittaker’s Doctor is about to burst into Sunday nights — and make the end of the weekend so much more exciting. Chibnall was behind the decision to cast a female Timelord, the BBC has previously said, and has written the first episode of the new series, an hour-long instalment titled The Woman Who Fell To Earth. In July this year, fans were given a glimpse of the cast in a new trailer released during San Diego’s annual fan event, Comic-Con. The 40-second trailer showed off the new incarnation of the Doctor’s trusty sonic screwdriver.